This lightweight windjacket provides maximum comfort at a minimal weight. 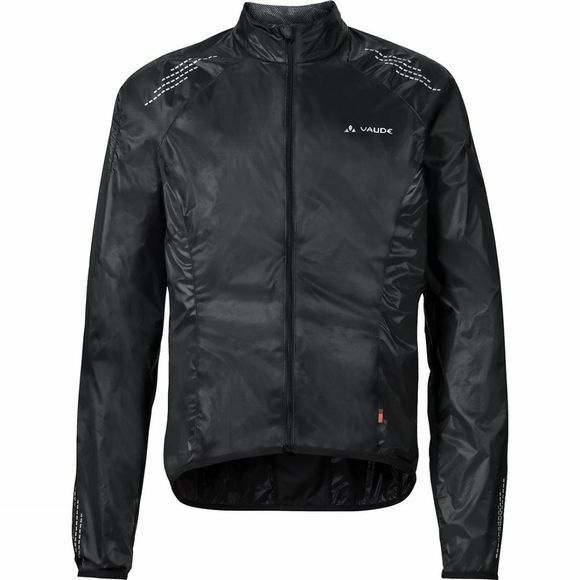 High stretch inserts at the top of the shoulders and on the sides provide great freedom of movement and good breathability in this ultralight bike jacket. 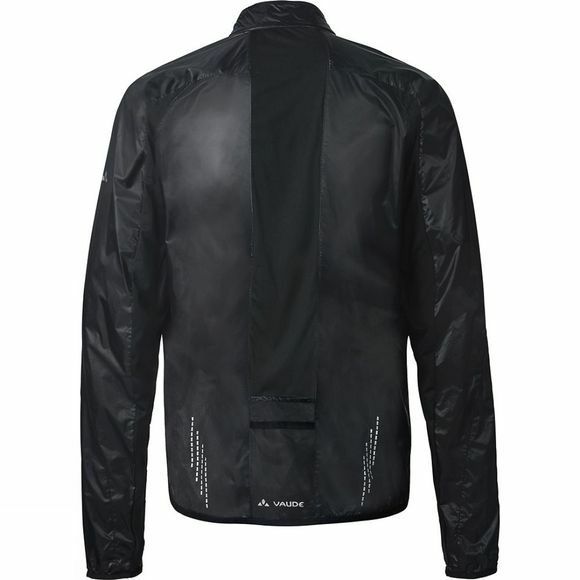 The slim-fitting jacket is made from eco-friendly bluesign certified primary material with Windproof 80 function. It can be packed down small in its own back pocket and can easily slip into the smallest of jersey pockets so you can always take it along. Green Shape is Vaude's guarantee of environmentally friendly products – from sustainable materials, resource-efficient manufacturing and fair production.